Two UCSC arts and humanities faculty are among the 50 writers, dancers, musicians, filmmakers and other artists nationwide who have been awarded $50,000 USA fellowships grants. Literature professor Karen Tei Yamashita was honored in the Literature category and assistant professor of film and digital media John Jota Leaños received his award in Media. The 2011 awards were officially announced Monday at a ceremony hosted by actor/director Tim Robbins at the Broad Stage in Santa Monica. The non-profit organization has awarded $15 million to 317 different fellows since the program was founded in 2006. 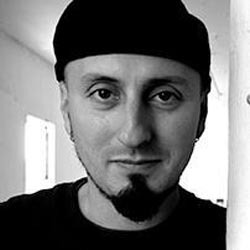 Leaños is an interdisciplinary artist in UCSC’s social documentation program who works in animation, installation, and performance. He addresses social issues by merging traditional Chicano and mestizo cultural expressions, such as Day of the Dead imagery, with contemporary media and technology. Through humor and popular music, Leaños confronts topics such as how war, border violence, and globalization intersect with class, gender, and race. Leaños' animated films have been shown internationally at festivals including the Sundance 2010 Film Festival, the Mill Valley Film Festival 07, and Cannes Short Corner 07. His installation work has been exhibited at the Whitney Museum of American Art’s 2002 Whitney Biennial, Art in General in New York City, the Oakland Museum and Yerba Buena Center for the Arts in San Francisco. Leaños' multimedia Mariachi opera, Imperial Silence: Una Ópera Muerta / A Dead Opera in Four Acts has also been staged at venues including the Museo del Barrio in New York; and The Luckman Fine Arts Center in Los Angeles. 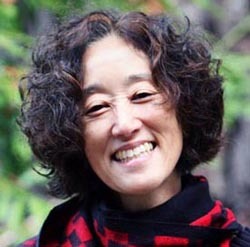 Yamashita received a 2011 California Book Award in the Fiction category for her most recent novel I Hotel, and was a finalist for the National Book Award. Co-director of the Creative Writing Program at UCSC, her intensely researched works reflect interests in communities whose stories often go untold.